STAR is a non-profit making, democratically accountable Supporters’ Trust set up in March 2002 and is regulated by the Financial Conduct Authority. It is the successor to Reading Football Supporters’ Club (est. 1930) as the fans’ organisation, but has a legal constitution with a wide range of objectives. A registered society under the Co-operative and Community Benefit Societies Act 2014, each paid-up adult member of STAR has an equal £1 share in the society and one vote. Our full title is The Reading Football Supporters’ Society Limited, registered Office c/o Vale & West, Victoria House, 26 Queen Victoria Street, Reading RG1 1TG. Company number IP29371R. 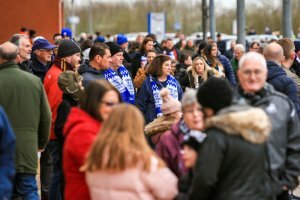 Its objectives can be seen below but can be summarised as aiming to represent the interests of Reading supporters to the Football Club, the media, the local community and the football world, as well as encouraging football in the local community and strengthening the links between the local community and the Club. Whilst financial resources are obviously very important in building and sustaining a successful football club, there also has to be a passionate, human and communal dimension. STAR is here to help build and sustain a well-supported and well-respected football club in Reading where the whole community feels involved. STAR is run by a Board, both elected by the membership and a small number co-opted to the Board. The Board has to meet at least four times a year, but, in practice, it meets monthly, often with the STAR Team leaders, and is responsible for overall policy and financial direction of the Trust, its relationship with Reading F.C., the local media and the local and wider community. The Board can have up to 15 members, but the elected members must always be in the majority. 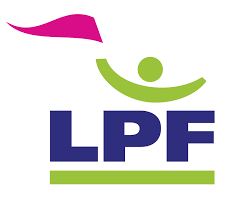 Co-opted members may include representatives of different parts of the community; for example, local business, the local council, disabled supporters, ethnic minorities and Football in the Community. Elections to the Board take place by rotation every three years. Any STAR member, proposed and seconded by two other current members and with the support of a further 2 STAR members, may stand for election to the Board at the Annual General Meeting. This is normally held in September with nominations made by the end of May. You can download the STAR 2018 AGM Minutes 6th September 2018 here. The STAR 2017/18 Final Accounts can be found here. 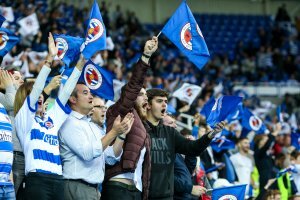 • to continue the work of Reading Football Supporters’ Club, with particular reference to away travel, ticket priority and Fans’ Forums. You can download the STAR rules here. STAR have a number of specific policies which can be viewed from our Policies page. As part of its role in supporting the local community and encouraging football in the local community, STAR sponsors a number of organisations and events. What has STAR ever done for us? Every couple of months STAR Board members meet with all of the Club’s senior management and can put any issue up for discussion. Notes of these meetings are posted on the STAR website. Before STAR was launched this kind of meeting did not happen. STAR was an active shareholder examining accounts and attending AGMs until the new ownership essentially removed these rights. STAR continues to examine and provide an annual commentary on the Club’s accounts. STAR subscribes to update notices from Companies House to keep up to date with any filings detailing loans, charges or changes in directors in the Club and its associated companies. STAR is an open, democratically accountable and financially responsible organisation. About 60 people of widely differing ages and backgrounds have held board positions within STAR. Two STAR Board members have gone to the Football Supporters Federation National Council. Described by Supporters Direct as a ‘model’ trust / best conversion of a supporters’ club to a Supporters’ Trust. STAR has worked with the club on fans surveys to improve the questions and the analysis of the results. Taken up specific complaints and requests of members and other supporters with the football club for successful resolution and now, as of 2016, agreed a standard protocol with the Club for representation of supporters in examining such cases. Campaigned to keep BBC Radio Berkshire coverage of Reading FC in face of the club decision to drop them. Created a forum in which fans and stewards could come together and try and solve problems. Attended all the Safety Advisory Group meetings. Created a ticketing blueprint for when we arrived in Premier League – our recommendations were largely followed by club. Negotiated for STAR members to be able to leave their car at Welcome Break motorway service areas and car share from there on the way to home and away games. Persuaded the club to allow match tickets to be bought at the advanced price up noon on match day rather than cut off the discount on the day prior to the game. Campaigned against vertical segregation in stadia after the trouble at Wolves in 2003. 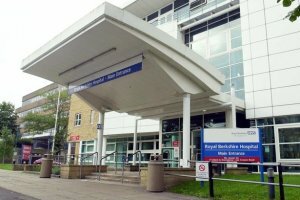 Supported with advice and meetings the launch of trusts at other clubs including Southampton, Cheltenham, Farnborough, Crawley, Aldershot. Campaigned successfully to have paper/ card votes for Player of the Season re-instituted. Consulted widely on the proposed Royal Elm Park planning application and issued a formal objection based on the lack of car parking provision. Been granted an Asset of Community Value registration on the Madejski Stadium. Been part of the successful national Twenty’s Plenty campaign to reduce away ticket prices – which as of 2016-17 will be £20 at the Madejski Stadium. Organised the Raise the Hoops display in 2006 at the QPR match. Created the No13 URZ flag and paraded it big games. Organised and distributed voting forms for the Player of the Season. Funded and commissioned memorial plaque for Roy Tranter. Bought a bench for the memorial garden. And managed to stop the club putting out clappers and rumblestix so often! Published ‘Reading Til I Die’ book. Organised a re-match of RFC’s first game in 1872 at King’s Meadow. Produced a tourist guide to all Reading’s former grounds. Participated in Reading Museum exhibitions, talks and loans boxes. Presented with Football League Championship medal in 2006. Launched the Steve Death Memorial trophy for the best young goalkeeper in the club. Organised commemorative trips to Somme 2011, Flanders 2014 and northern France in 2017. Put Jamie Cureton’s name in space, among the stars! And Murty too. Launched the STAR Reading FC Hall of Fame in March 2016. Deposited a run of home programmes from 1964-2006 with the Berkshire Records Office for access and reference by the general public. Made it easier to book by constructing the STAR Base as permanent accommodation accessible to fans in all stands. Stepped in to provide a coach service for unaccompanied minors when the club stopped running the Young Royals coach. Started and maintained Readibus service for disabled supporters. Continued to run efficient and good value coach service to all away games – typically 3000 passengers per annum, up to 7000 at peak. Introduced DBS accreditation for coach stewards. Even given the players a lift to Barnsley when their coach broke down! Yes, but what’s actually done for the tangible benefit of members? Expanded Exiles groups in UK and overseas and maintained their ticket benefits in situations where they wouldn’t have enough Ticekting points. Every STAR member gets 20 extra Ticketing points every year of joining. Continued to hold Fans Forums 3 times a year. Continued to give a 10% discount voucher off merchandise at Megastore. Gained access to Jazz Café on match days for members. Kept members informed with Reading Matter magazine and fortnightly STAR Bulletins. Kept supporters informed via page in club programme and own website. Kept (adult) membership fee unchanged for 15 years at £10. Successfully campaigned to get the number of Ticketing Points earned for away games doubled. A Supporters’ Trust is a secure, not-for-profit, community-minded and democratic organisation run by its shareholding members in accordance with its Constitution and is registered with and regulated by the Registry of Friendly Societies, part of the Financial Services Authority. There are around 180 Supporters’ Trusts across the UK representing 270,000 members. 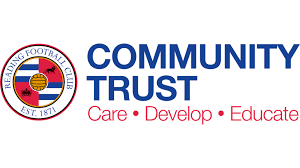 The ‘umbrella body’ for these Trusts is Supporters Direct, a government-sponsored organisation created to encourage the formation of Supporters’ Trusts and to provide them with support and advice for the benefit of football supporters and the football clubs they support. You can find out more about the activities of Supporters Direct by visiting their website.